The school climate at Kit Carson supports a multi-culturally rich environment where diversity is celebrated and we believe that diversity enhances the positive experiences of our students. Our campus is home to many different languages and cultures that truly reflect the diversity of our city. 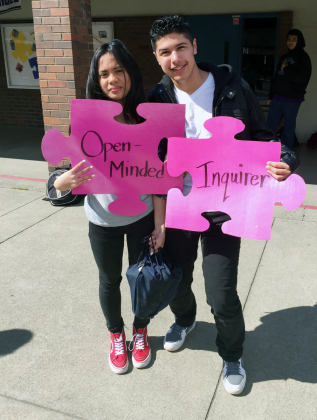 Currently we serve a student population from many communities of the greater Sacramento area. 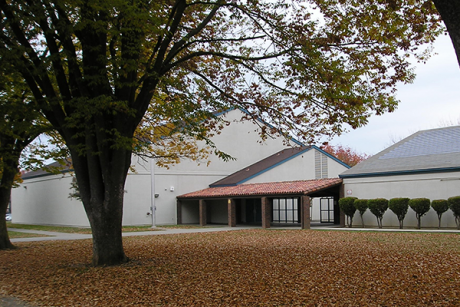 Long-time residents of the East Sac community have fond memories of the original building which was constructed in 1933, and of the storied past of the school. The “new” Kit Carson, built in 1976, recognizes time-honored Pioneer traditions while at the same time focusing on progressive, forward thinking instructional practices which have led us to this IB path. The International Baccalaureate (IB) is a non-profit educational foundation offering four highly respected educational programs that develop the intellectual, personal, emotional and social skills needed to live, learn and work in a rapidly globalizing world. Schools must be authorized, by the IB organization, to offer any of the programs. The IB has a hard-earned reputation for high standards of teaching and student achievement. 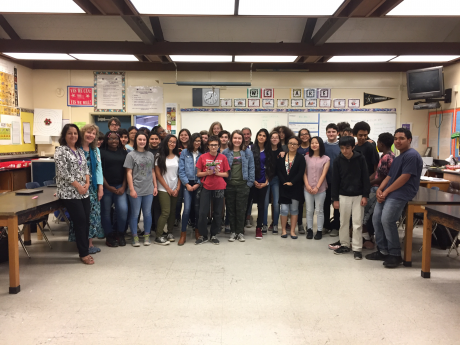 The Sacramento City Unified School District is pleased to announce the winners for the 2018 Green Apple Awards. Each spring the Green Apple Awards seek nominations of our dedicated staff, students and community that go above and beyond their daily tasks and responsibility to help make our learning environments more green and sustainable. Nominations were accepted in the categories of Green Team of the Year, Green Administrator of the Year, Green Educator of the Year and Green Operations Staff of the Year. Kit Carson will start the fall with its first class of seniors and has officially become the Kit Carson International Academy. The school will serve students in grades 7 to 12. 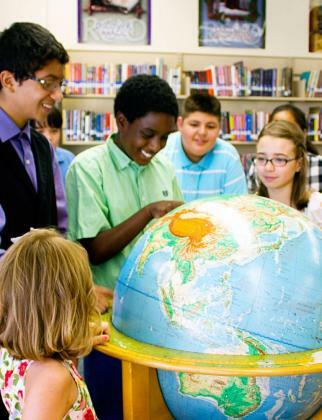 Kit Carson can begin to offer the International Baccalaureate (IB) World School, Diploma Programme campus in the fall. Andrew Macdonald, the Chief Schools Officer for the IB program notified Kit Carson Principal Santiago Chapa on Monday of the “considerable accomplishment” in achieving authorization for the prestigious program. Decades-old Kit Carson Middle School is looking for a name to match its students as the campus evolves into a high school. Kit Carson Vice Principal Rich Haley who serves on the committee charged with bringing recommendations to the Sacramento City Unified School District said the group has begun gathering input from the community. “We want to know what the community wants – whether we should adopt a totally new name or only tweak the name by dropping the middle school designation,” Haley said. The International Baccalaureate organization this week officially authorized Kit Carson as an IB World School. 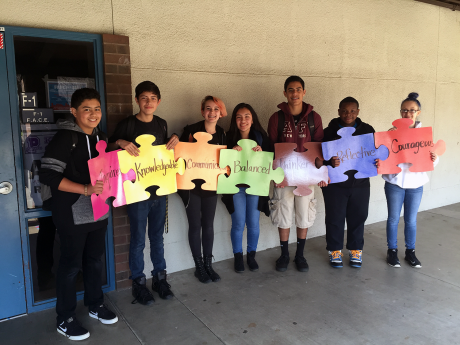 Kit Carson is now the first SCUSD school authorized to offer IB’s highly respected Middle Years Programme. Kit Carson has been transitioning to an IB school since 2013, when a community team first forwarded the idea of a campus redesign. In the years since, staff has received extensive training and worked together on curriculum focused on the five essential IB elements: Knowledge, concepts, skills, attitudes and action. 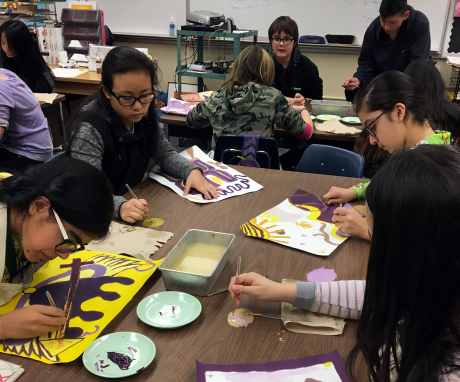 Come learn about Kit Carson’s transition to an International Baccalaureate school for grades 7 through 12 at information nights scheduled for 6 p.m. to 7 p.m. on Wednesday (January 30).